Things have changed, as you well know. My wife and I took our daughter home and learned the ropes by the seat of our pants. Dr. Spock had moved on long before then to become first officer on the Starship Enterprise and so we were strictly on our own. I recently traveled to Baltimore to get a look at my daughter’s first baby and discovered a very sophisticated post-natal world in which a parade of specialists came into the hospital room and laid out a complicated set of ground rules that, had I been a parent, would have had my head swimming. When one of the nurses or therapists weren’t in the room talking about how to feed, diaper or clothe the child, the parents were expected to watch instructional videos on a special TV screen. This went on for two days. There was a whole session just on burping alone. The nurse swung the child over her shoulder like a five-pound sack of dried kidney beans and swatted his back with a lot more gusto than I would have thought necessary. “The mistake a lot of parents make is that they just tap the back very gently,” the nurse said. Do it like you mean it, she said, and sure enough a baby belch was issued forth. Getting ready to go home started around noon and it was 4 p.m. before the baby was being buckled into his car seat. There were so many last-minute instructions, and then figuring out who was going to sit where in the vehicle became a lengthy on-again, off-again discussion. Once the seating arrangements had been finalized, then came the actual buckling in of the passengers. Without a newborn baby, you hop behind the wheel, start the ignition, and punch the accelerator at the same time you’re strapping on your seatbelt. But this is a case where every belt and buckle must be carefully checked and rechecked. The infant car seat, which was designed by NASA and cost about $10,000, comes in pieces and the straps have to be adjusted to fit the contours of a 7-pound human being. First the “base” must be secured and then the carrier snaps into the base. The mother’s seatbelt is very, very carefully adjusted, for obvious reasons, and then clipped. After that, the rest of the belts are snapped, which makes it sound kind of like the inside of a commercial aircraft just before it pulls away from the gate. In truth, it was like preparing to take off in the space shuttle. My son-in-law knows how to keep up with traffic. But on the trip back to his house he went easy on the accelerator and took a wide detour to avoid a brick road. 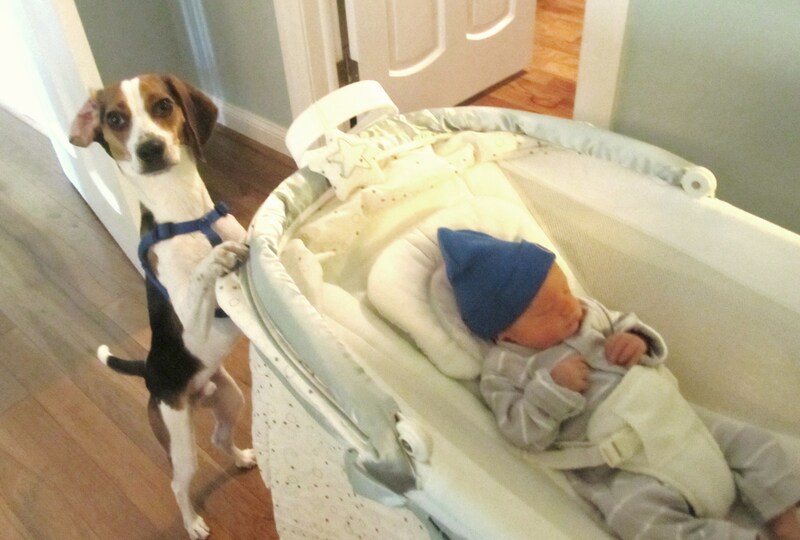 Once home, the baby was introduced to his nursery which had been outfitted far in advance with all the accoutrements of 21st century parent/infant accommodation. Many items, such as a scentless diaper pail that has a plastic spike filled with baking powder on the lid, were ordered from Amazon. Yes, some competition for the young pup although he eventually seemed to take it with good grace. He knows that if he bides his time, there will be more table scraps on the floor than you can shake a stick at, and he will acquire a partner willing to play a game of fetch that seemingly goes on forever. The U.S. health care system always seems to take one step forward and two steps back. While the goal over the last decade has been to get more Americans covered under insurance plans, the number of uninsured seems to grow. Part of that is due to the ongoing recession, which knocked more people into the uninsured ranks. But here’s another blow: Wal-Mart announced Friday that it was cutting health benefits for future part-time workers. People who work fewer than 24 hours a week will no longer be eligible for coverage. The company employs 1.4 million workers, and won’t say how many of those are part time. They’ll only say that the majority are full time. Out-of-pocket expenses for employees who do have coverage is on the way up. The $1,000 the company provided for health care use will be slashed to $500 for families, and from $500 to $250 for individuals. The change is due to rising health care costs, not the federal health care initiative. But Wal-Mart has also seen declining revenues and is trying to cut costs in other ways, too. The Kaiser Family Foundation estimates that 16 percent of small employers offer health insurance to part-time workers, although that rises to 42 percent for large companies. And apparently, according to the Washington Post, the health care reform law is mute on the subject of part-timers, while mandating coverage at large companies for full-timers. If other companies follow the Wal-Mart lead, and they are the nation’s largest employer, it will force more part-time workers into the individual mandate section of the law: Buy your own policy or face a fine. For lower income wage earners and their families, it will put an additional strain on Medicaid programs at a time when states are screaming for block grants and the ability to slash services. Assuming the Obama administration gets another term, and that’s a big assumption in light of the struggling economy, the part time worker problem will need to be addressed. Maybe that can be done administratively. If not, and it has to be tweaked by Congress, we can expect to see this growing segment of the workforce fall through a gaping hole in our patchwork health care system. A group representing psychologists and other mental health professionals has come out in support of Occupy Wall Street. The organization, Psychologists for Social Responsibility, has taken controversial stands in the past and this one is likely to ruffle some feathers among colleagues as well. Because the fact is that this movement, which is springing up in towns and cities across the country, is now owned by the left. That means people who support Republican initiatives, or the Tea Party, must view the movement with disdain. Ironically, if you talk to Tea Party supporters, and I do, you’d find that many of them opposed the Wall Street bailouts that are a focus of the Occupy Wall Street protests. Nevertheless, if you switch the topic to a more general, overall view of this movement, they don’t like it. The PsySR is not connected to the American Psychological Association, but many of its members also belong to the APA. Now that the weather is cooling off a little in my corner of South Florida, I’ve been putting more effort into my running routine. Slightly edging up on the distance and going for a little better time. So, you would think this might start to show up on the scale. I don’t really watch my weight that closely but I was surprised when I stepped on the scale at the doctor’s office recently and noticed that I’d gained three pounds. This after about two weeks of longer runs and a few more sprints. My diet hadn’t changed and in fact I’ve been on sort of a protein kick lately. I figured the lower carbs might also knock off a few pounds. The story argues, and I’ve head others echo the thinking, that when people finish a run they believe they’re entitled to some sort of treat. Not just a piece of fruit or a couple of celery sticks, but something GOOD. In other words, just because you’re spending more time in the workout center or the jogging trail doesn’t entitle you to a big bag of Doritos. Or a carton of maple walnut ice cream. Another one of life’s injustices. Speaking of doctor visits, you apparently need to be on your best behavior when seeing a physician. A new study shows that doctors who don’t like their patient are more likely to downplay their complaints about pain. That’s according to a University of Northern British Columbia professor who is studying the issue. It’s particularly true when the person is suffering from a soft tissue problem like lower back pain. In the study, a group was shown pictures of people matched with good and bad personality traits. The group was then shown videos of the same people in moderate pain or severe pain, or no pain. The pain of the unlikeable people was judged to be lower than the pain impacting the likeable ones. That’s human nature. But when applied to health care professionals, the reseachers believe it’s more of a factor because they’re already desensitized to pain. The researchers believe that health care workers in particular need to be more empathetic with their patients so that they can see beyond the personality traits they may find annoying. Because unpleasant people need medical care, too. Caution: Vigorous exercise in city traffic may be hazardous to your health. The study reported at the European Respiratory Society in Amsterdam in September got some attention in the U.S., maybe enough to give dedicated cyclists pause. Researchers at the London School of Medicine found that cyclists who ride in city traffic were exposed to twice as much soot from vehicular traffic than people just walking on the street. Specifically, we’re talking about “black carbon,” which comes from the burning of gasoline. I suppose that’s common sense, but how many city dwellers can take the time to drive out to a rural – or maybe even a more suburban – setting to take their daily bike ride? Even then, if you do your biking close to an interstate highway, you could be absorbing a lot of fumes. Yes, walkers breathe in the fumes, too. 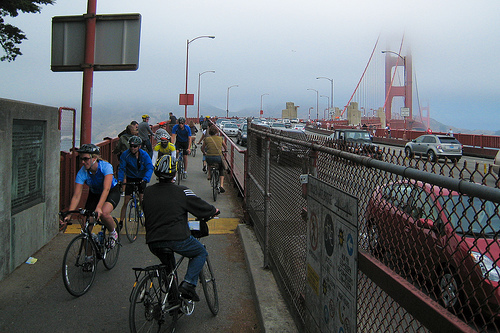 But the idea is that cyclists inhale more deeply and end up with a greater quantity of the black carbon. But here’s the kicker: I don’t see why this doesn’t apply to runners as well. 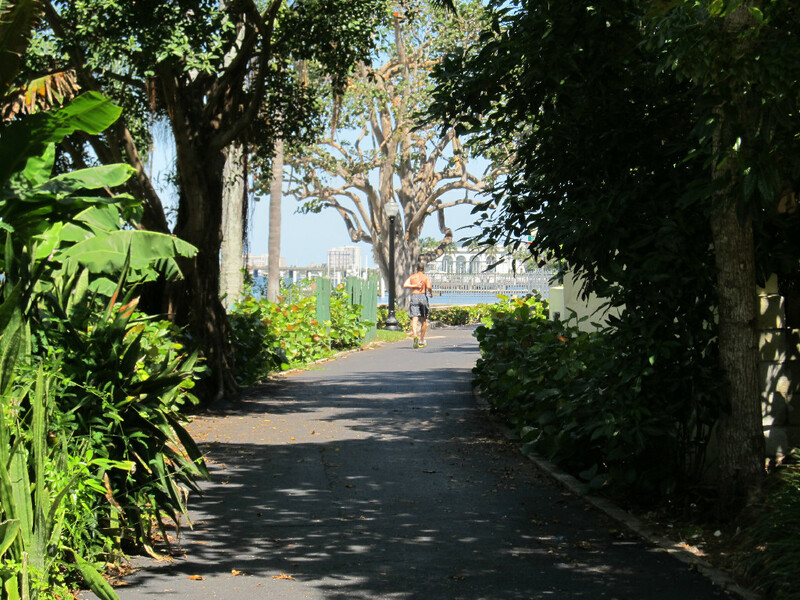 That morning or evening jog around the neighborhood could be a double edged sword. It would seem to be more evidence that many of the diseases people get these days are at least partially caused by environmental factors. Over the last 300 years, we’ve really done a number on Mother Nature. But the word “contaminated” is so loaded, isn’t it? Let’s go with “compromised.” The end result of living in a modern society built for speed and convenience. Speaking of convenience, I’ve always liked the idea of online health care delivery. It could make the system move faster and save people money. But people have been skittish about it. UnitedHealthcare is working in that direction, though, with its NowClinic program. Patients can see a physician on their laptop using a webcam. They pay $45 for a 10-minute virtual visit. The physician can even call in a prescription for you. You have to register for the service and furnish credit card information. And, naturally, the scope of what can be done online is limited. But for simple problems, it beats waiting in line for an hour at an urgent care center. The technology is a lot easier to use than many people think. Even if you have a slightly older computer with no webcam, you can buy a decent one for about $30 and just plug it into a USB port. Couple this in the future with some basic home medical tests, the results of which can be feed to the physician, and you’ve got the makings for a legitimate, functional arm of the healthcare system. It will never replace visits to the doctor, but it’s a hot spot in a system that craves innovation. I was very sorry to hear that New Jersey Gov. Chris Christie won’t be running for president. It’s not that I thought his candidacy would lead to a national discussion about obesity. I heard some of that last week and found it vaguely offensive. Instead, I was hoping it would trigger a national discussion about rudeness. Let’s face it, the guy has anger issues, and I’m not talking about frustration over the country’s direction. I mean civility in how we interact with each other as citizens. It could have become the new topic du jour on the cable news channels. Now we’ll have to settle for discussions of Mitt Romney’s haircut. It’s been often noted that Americans prefer tall presidents. Facing each other onstage during debates, it’s generally the tallest candidate who stands out and wins. A notable exception was the 2004 race in which John Kerry, at 6-foot-4, lost to George W. Bush at 5-foot-11 1/2. Kerry was the tallest candidate to ever lose a presidential election. But the 2012 presidential election could well turn on weight as well as height. 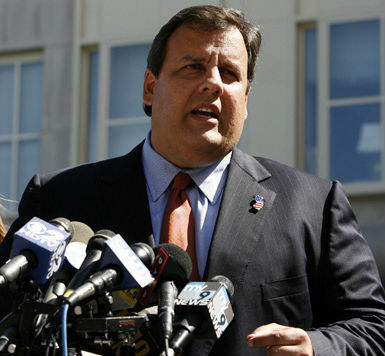 The issue has come up with the emergence of New Jersey Gov. Chris Christie as a potential Republican contender, although he has not yet announced his candidacy. In a New York Daily News online poll, 56 percent said Christie’s weight was an issue while 41 percent said it was not (results as of Sunday, Oct. 2). I couldn’t find the governor’s exact weight online — height is something that’s a matter of obvious record but weight is more personal. Columnist Eugene Robinson of The Washington Post speculates 286 pounds. I’d guess closer to 300. There was a lot of discussion over the weekend about whether Christie’s weight should matter to the American electorate. The answer is that yes, it apparently does. The Los Angeles Times dug up a 2010 study by the University of Missouri indicating that hefty size is actually a plus for male political candidates in the U.S.
“Specifically, obese female candidates were evaluated more negatively than nonobese female candidates and nonobese male candidates were evaluated more negatively than were obese male candidates,” the researchers wrote in the journal Obesity. “This interaction persisted even after controlling for standard political and demographic characteristics of the evaluator. So, President Obama may have some catching up to do if he finds himself in a race with Christie next summer. Campaign food will help. Based on height alone, Obama comes out on top at 6-foot-1; Christie is 5-foot-9. A lot of Democrats want to make Christie’s weight a health issue. They argue that it sets a bad example in a country where obesity is epidemic; others point out that obesity drives up health care costs — something we’ve been trying unsuccessfully to control for more than a decade. Christie’s angry, confrontational approach to politics has also been blasted. Some of his greatest hits are available on YouTube. His opponents believe this is fertile territory in their effort to undermine Christie’s support, but they’re wrong. As I mentioned in a blog post in June, nothing motivates voters like anger. When Christie lashes out at teachers or reporters, it brings public debate down to an emotional level that many viewers are going to find irresistable. Valentino found that from 1980 through 2008, anger has consistently increased electoral participation. Imagine the delight and excitement among voters when they find a candidate who’s just as bitter as they are. So, among election issues that really count — height, weight and hostility — Christie clearly has the edge by 2 to 1. I would look for his support to balloon in the polls over the next couple of months.